The Count was released in 1981. It the fifth adventure game by Scott Adams and Adventure International. 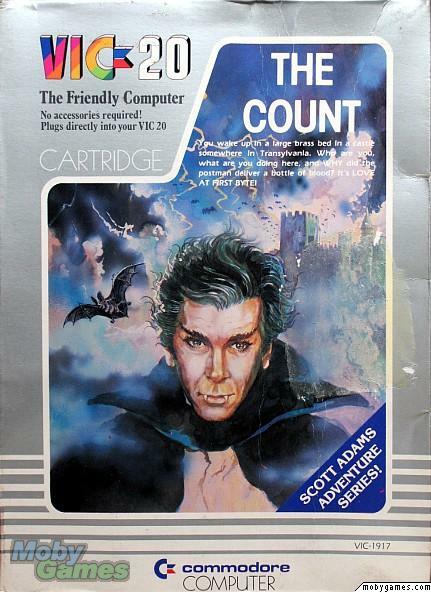 The object of the game is to collect items in Count Dracula's castle so that you can ultimately defeat him. It was also released with static graphics as SAGA (Scott Adams Graphic Adventure) #5.